I Heart Me > David R. Hamilton Ph.D. In this transformational book – the first of its kind – bestselling author David Hamilton fuses science with self-help to offer simple yet powerful strategies for learning to love yourself. Throughout I Heart Me, you will learn that loving yourself means more than feeling good about yourself or being kind to yourself – it's about being self-confident, being able to express yourself without fear, being unconcerned about whether you're liked, and living your own life – not someone else's idea of what your life should be. 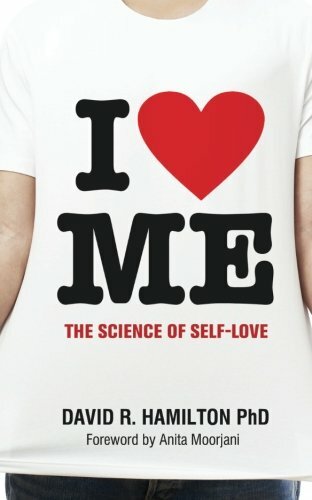 With the most up-to-date research and findings on the subject of self-love, this book offers simple ways to achieve significant breakthroughs in your own journey to self-acceptance. You will be guided through powerful exercises that will leave you feeling better about yourself than you have ever felt before. Ultimately, you will learn not only how to love yourself, but how you can actually wire this self-love into your brain with lasting effects, bringing you unprecedented happiness and peace.